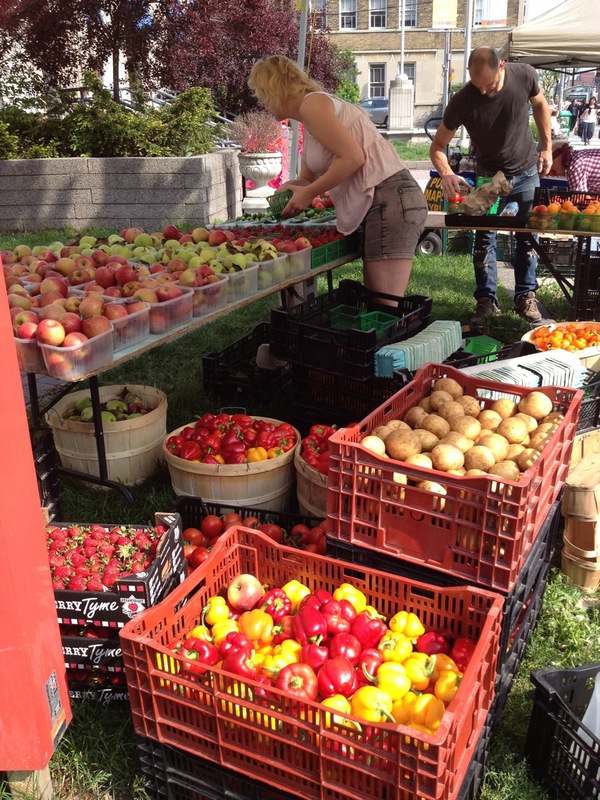 One of the numerous farmers’ markets sprouting up across Toronto is a weekly set-up just north of Yonge and Eglinton on the green space in front of a Canada Post building. Fruit, vegetables and baked goods are available for sale from the mostly young growers, bakers and entrepreneurs. I chatted with Riley, the energetic coordinator of this market and another one at Yonge and Davisville, as she was busy helping the vendors set up. “This is a great location,” she said, “but parking for the vendors is a challenge.” Then I notice the “Development Proposal” sign hovering behind one of the farmers’ tents describing an application for yet another condo. Postal Station K has been a recent point of contention with the neighbouring community, which opposes the building’s demolition. The art-deco structure has a long history and was the site of Montgomery’s Tavern where William Lyon Mackenzie organized the Upper Canada Rebellion. 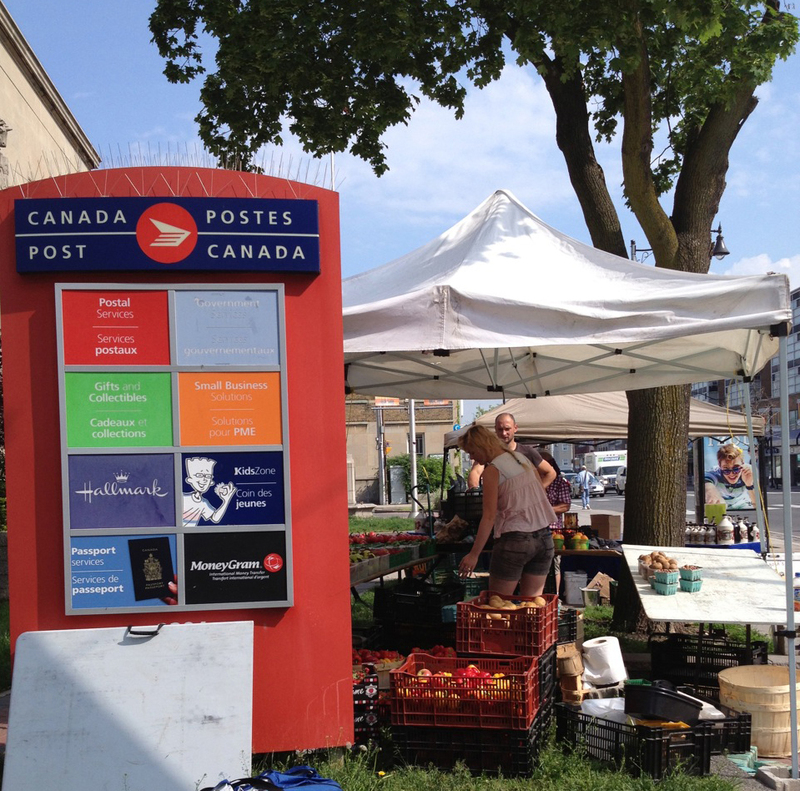 When I ask Riley whether they will continue to operate the farmers’ market if and when anything else is built there, she says, “I don’t know but we’d like to bring fresh items to the neighbourhood for as long as possible.” Then she runs to direct a pick up truck to a parking space where it can unload.